Writing, in general, can be challenging enough when you are trying to create content for a newsletter, annual report, email campaign, social media, or anything in between. 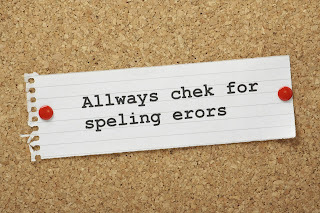 Running a spell check is an easy first step but what else can you do to identify errors? Practice. Practice. Practice. Typos can undermine your message, causing your well-thought-out piece to get passed over and forgotten. We can miss these annoying little details when editing because when you write, you are thinking about more than just the words. 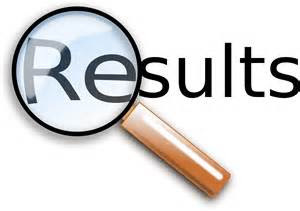 You consider the meaning of the message and the outcome for which you want to achieve. As with any task, the more you practice the better you will become. Train your eyes and brain to seek out typos and mistakes. No one is a perfect proofreader and even computer programs can miss things. When in doubt, we suggest getting a second pair of eyes to review your copy. Sometimes a fresh perspective, like what a donor would see, can make all the difference. We have a few reports that are our favorites: Blackbaud’s Annual Charitable Giving Report, M+R Benchmarks Study (available at the end of April), and AFP’s Fundraising Effectiveness Survey Report. Blackbaud’s report is great to capture results and industry performance for the entire nonprofit sector for the past year. AFP’s report gives the reader an overview of the last 10 years or so which is helpful when looking for trends and changes in donor behavior. M+R Benchmarks Study offers insight into recent trends of the nation’s top nonprofit organizations and covers topics from direct mail to newsletters, to social media and the future of fundraising.